The formidable members of the Pokémon League are back and ready to challenge players of Pokémon: Let’s Go, Pikachu! and Pokémon: Let’s Go, Eevee! when the games launch on Nintendo Switch later this month. Inspired by Pokémon Yellow: Special Pikachu Edition, the Pokémon: Let’s Go, Pikachu! and Pokémon: Let’s Go, Eevee! 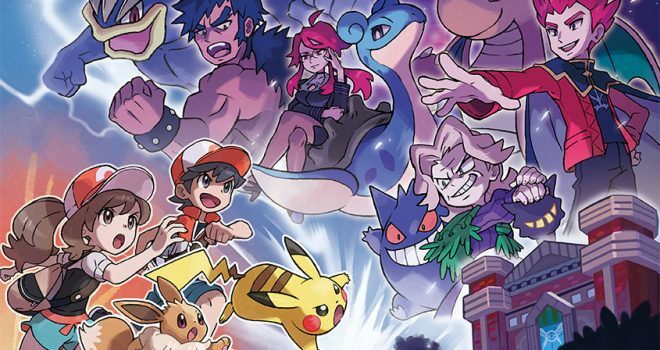 games have given the Kanto region and its inhabitants a major visual update, and the Elite Four are no exception. Pokémon: Let’s Go, Pikachu! and Pokémon: Let’s Go, Eevee! will be available exclusively on Nintendo Switch on November 16th.